The following item in this post was purchased by me, for the purpose of evaluation. This post contains an affiliate link. Purpose: [From Memebox] Say goodbye to dull and uneven skin tone! 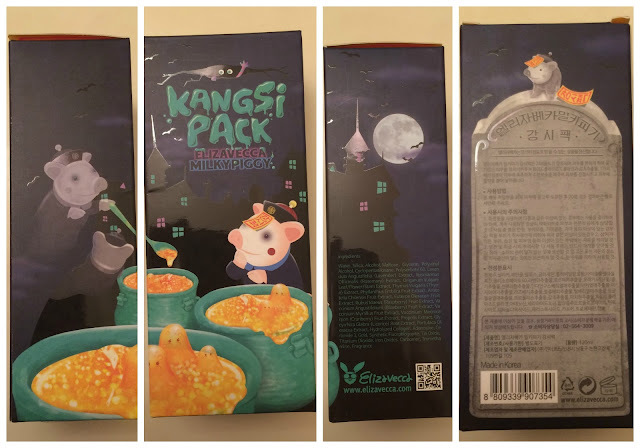 Elizavecca Kangsi Pack is a unique mask pack infused with 24K gold powder extract, berry extracts, green herb extracts and hydrolyzed collagen which promote smooth and radiant skin. It balances the skin’s natural hydration levels to keep the skin at its healthiest state. This pack leaves visible results right after one usage! 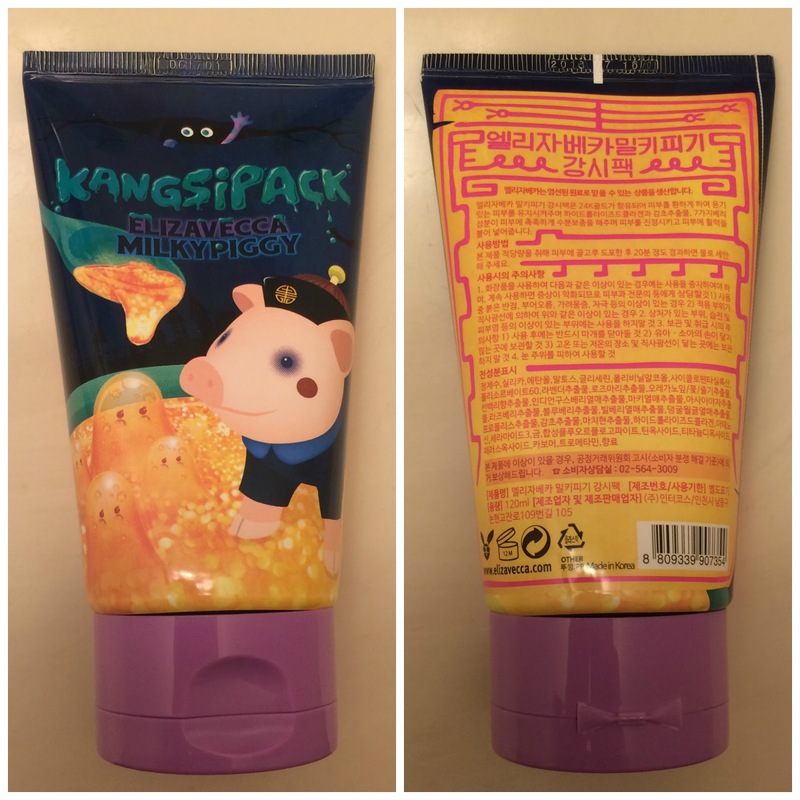 To Use: Squeeze out an appropriate amount of the mask pack enough to cover the entire face. Apply an even amount and let it dry for 15 to 20 minutes. 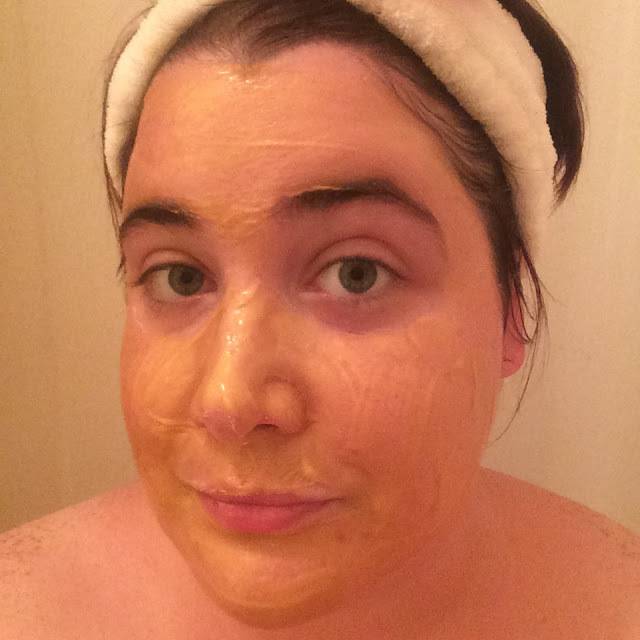 Once the gold mask turns white, wash it off with lukewarm water. Ingredients: Water, Silica, Alcohol, Maltose, Glycerin, Polyvinyl Alcohol, Cyclopentasiloxane, Polysorbate 60, Lavandula Angustifolia (Lavender) Extract, Rosmarinus Officinails (Rosemary) Extract, Origanum Vulgare Leafe/Flower/Stem Extract, Thymus Vulgaris (Thyme) Extract, Phyllanthus Emblica Fruit Extract, Aristotelia Chilensis Fruit Extract, Euterpe Oleracea Fruit Extract, Rubus Idaeus (Raspberry) Fruit Extract, Vaccinium Angustifolium (Blueberry) Fruit Extract, Vaccinium Myrtillus Fruit Extract, Vaccinium Macrocarpon (Cranberry) Fruit Extract, Propolis Extract, Glycyrrhiza Glabra (Licorice) Root Extract, Portulaca Oleracea Extract, Hydrolyzed Collagen, Adenosine, Ceramide 3, Gold, Synthetic Fluorphlogopite, Tin Oxide, Titanium Dioxide, Iron Oxides, Carbomer, Tromethamine, Fragrance. 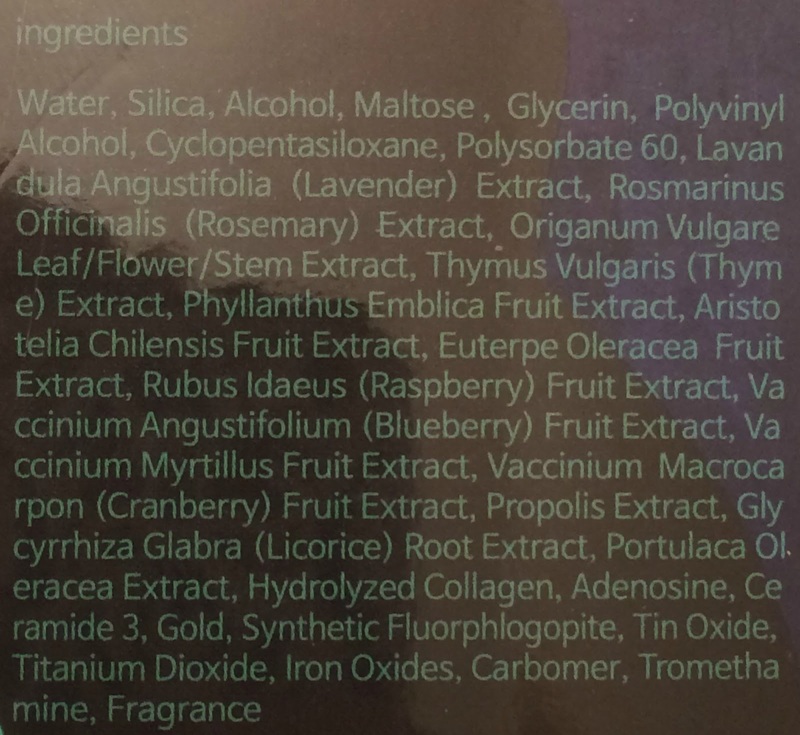 Cosdna Analysis: The Cosdna Analysis for this product is very clean for a somwhat extensive ingredient list. There are no potential acne triggers flagged, but Carbomer is flagged with a 1/5 as a potential irritant for sensitive skin. I want to point out that, although not flagged, Alcohol can be irritating to the skin. Performance: The mask comes out of the tube as a glistening gold color. It's really quite beautiful, and really is shimmery at first. Mask on the back of my hand. 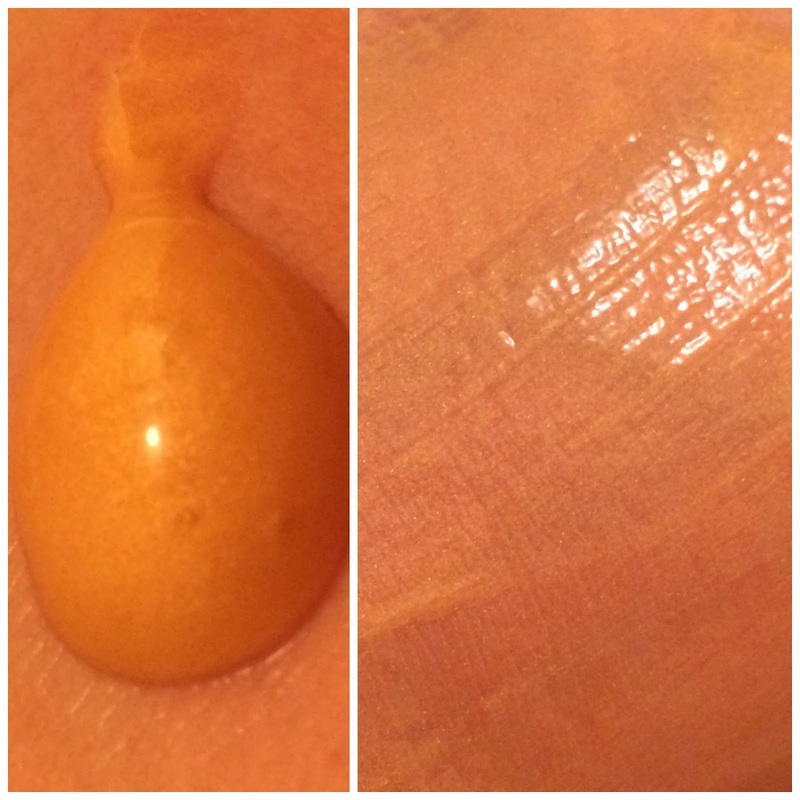 I squeezed some product onto the back of my hand and spread it onto my face with a flat foundation brush. I was able to get a thin and even layer with this method. 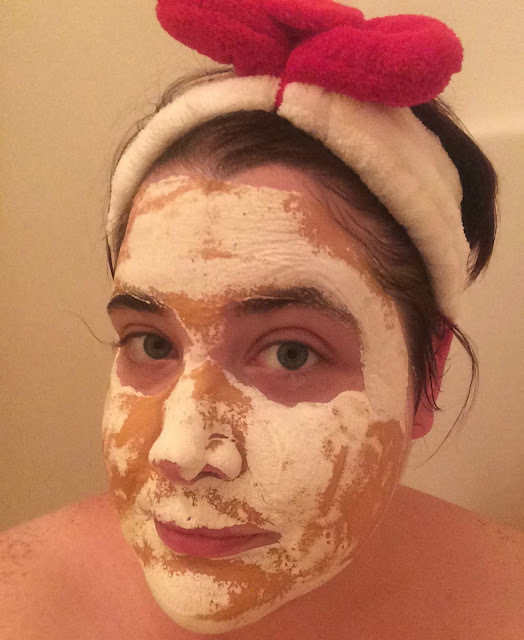 The mask smelled strongly of alcohol while wet, I gagged a few times while applying it. I allowed the mask to dry for 20 minutes, and at that time it wasn't fully dry but my face was beginning to feel tight and cold so I washed it off. It looked like hardened clay once dry, but felt softer to the touch, and when water was added it became jelly-like again like when applied. It washed off pretty easily, the edges took a bit of extra massaging to get off completely. 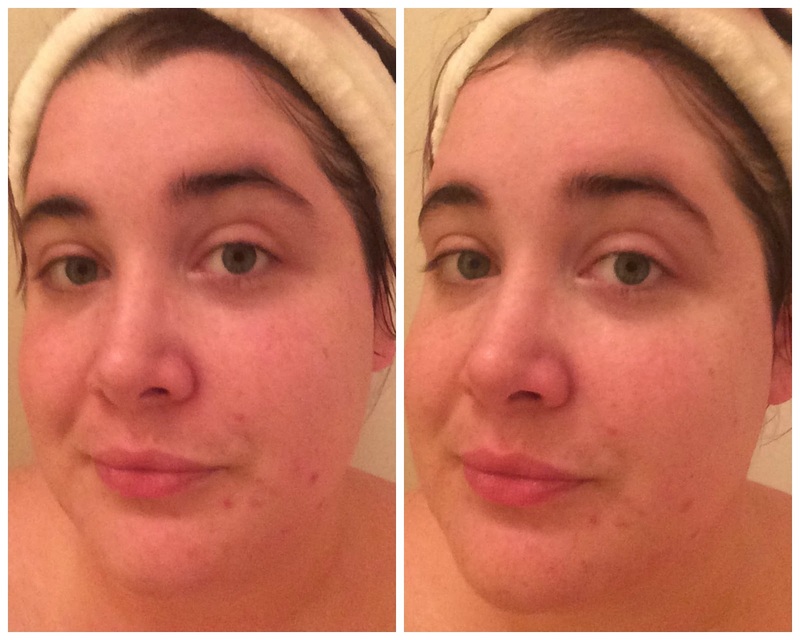 Once rinsed off my face felt smooth and plump - it seemed to do a nice job hydrating my skin. Comparing the before and after photos before, I see that this mask did brighten my face a little as well and took some redness out of my acne scarring. You can find this product at Memebox USA for $16 (affiliate).